The Panel of Evaluators including MDARRC’s OIC-Center Head, Forester Alma Uddin (front seat) and the participants of MDARRC’s 3rd In-House Review. 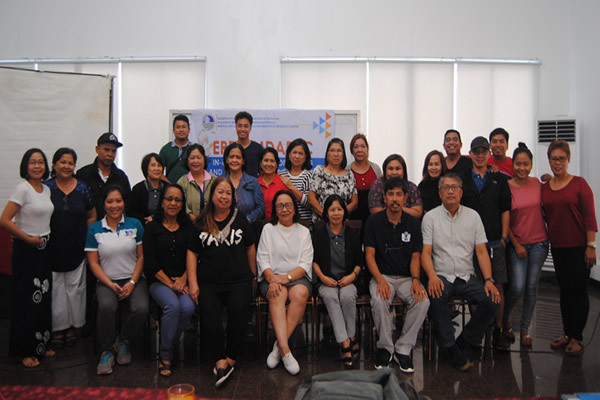 The Mining and Degraded Areas Rehabilitation Research Center (MDARRC) conducted the 3rd In-House Review for its ongoing and completed studies on July 24-27, 2018 at Sarangani Highlands Resort, General Santos City. Forester Alma S. Uddin, OIC-Center Head of MDARRC, formally opened the activity. She also welcomed the evaluators and support staff from ERDB. There were 14 Research, Development and Extension (RDE) studies evaluated during the 3-day in-house review, to wit: three of them were already completed; eight studies are ongoing; and three Technology Transfer and Extension Projects. The highlight of the 3-day event was the field validation of the studies on the “Control and Management of Invasive Alien Species (Piper aduncum L.) to Improve Productivity and Biodiversity of Lake Sebu, South Cotabato” and “Generation and Development of Technologies to Rehabilitate Degraded Multiple-Use Zone Protected Areas” under the leadership of Supervising SRS Vilma F. Nitura. The presenters underwent an intensive evaluation and took note of the suggestions and comments of the evaluators to improve or enhance their studies. The panel of evaluators during the in-house review were Dr. Carmelita I. Villamor, Dr. Maria Lourdes Q. Moreno, Forester Paul Cuadra, Forester Digno C. Garcia, Ms. Salvacion T. Orobia and Atty. Mereyll Kyla Irader. Proper use of appropriate terminologies and the correct usage of scientific names were stressed out. 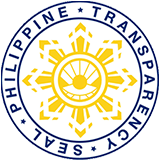 Other highlights included the drafting of Memorandum of Agreements with the mining companies or other third-party cooperating institutions which should undergo “first level screening” to ensure that the terms and conditions stipulated are mutually agreed between the parties.